Variety show with a little known actor Jackie Gleason who would later star in The Honeymooners. "Amor Amor Amor Guest Bergen & McCarthy"
"Double Feature", AFRS's name for the Jackie Gleason-Les Tremayne Show, was a typical Variety Show, with one notable exception; It had Jackie Gleason. Jackie Gleason was born in Brooklyn. After his brother passed away at the age of 14, his father also abandoned the family. His mother took a job as a subway toll booth attendant, and passed away when he was 19. He struggled to make it on his own, hustling pool and running with the local youth gang. Eventually he became interested in performing. He made the round of local amateur nights and landed a couple of jobs as MC in small theaters. Audiences recognized the young man's flair for comedy. He was offered a week long job in Reading, PA, that would pay $19, an incredible sum for the struggling young man. The booker advanced him the bus fare. He began working the club circuit, finally making it to New York's Club 18. (One night he greeted skater Sonja Henie by giving her an ice cube: "Here, now do something.") Jack Warner saw the act and offered him a movie contract. Jackie Gleason spent the early 1940's in Hollywood where he made a rather small splash. In fact he is better remembered for his all night parties than his few movie roles. He did spend time working at boxer Maxie Rosenbloom's nightclub on Wilshire, developing his act. He landed a role in the Broadway show, Follow The Girls (1944). While working in New York he got the chance to work on a radio variety show with Les Tremayne. 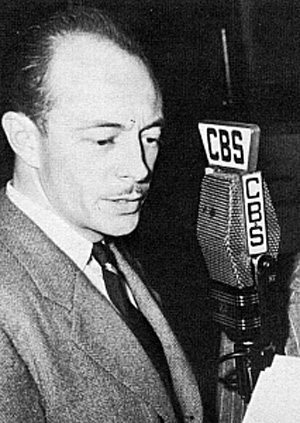 In the early 40's Les Tremayne was cited as having one of the three most distinctive voices on radio, after Bing Crosby and FDR. His began working in radio in 1930, but his break came in 1936 when he replaced Dom Ameche on First Nighter. He was also the original leading man on The Romance of Helen Trent. He left Chicago seeking opportunities in LA. He co-starred on The Old Gold Show in LA, and followed the program when its production moved to New York. The move to New York was very productive for Tremayne, giving him a chance to star in The Thin Man and The Falconradio series. He appeared for 18 months on Broadway in Detective Story. 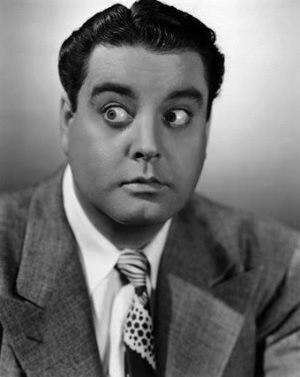 While in NY he also spent some time at Radio City working with a relatively unknown comic, Jackie Gleason. The Jackie Gleason- Les Tremayne Show has all of the elements that make radio Variety shows so much fun. Both Tremayne and crooner Andy Russell play straight-man to Jackie Gleason's antics. 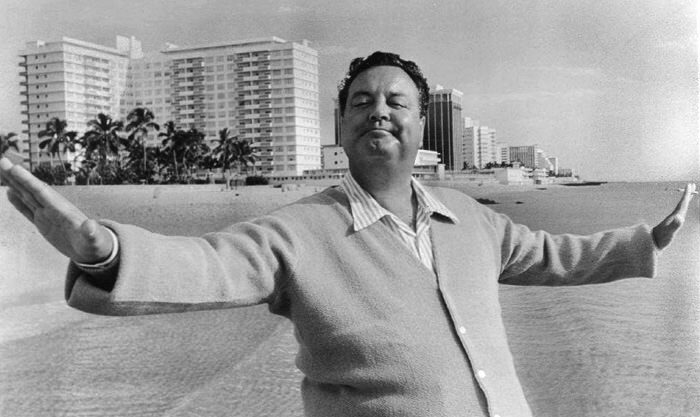 Jackie Gleason would find his greatest success in television variety shows. It would be on the DuMont Network's Cavalcade of Stars in 1951 that would introduce his most beloved character; the blustering Brooklyn bus driver, "Ralph Kramden", who would find immortality in the sketches and later series The Honeymooners. Be the first to comment on "Jackie Gleason Les Tremayne Show"